As part of a cycling education and safety project, Hamilton Police Service officers will be stopping cyclists near the university for Highway Traffic Act infractions – including those riding in the dark without lights. 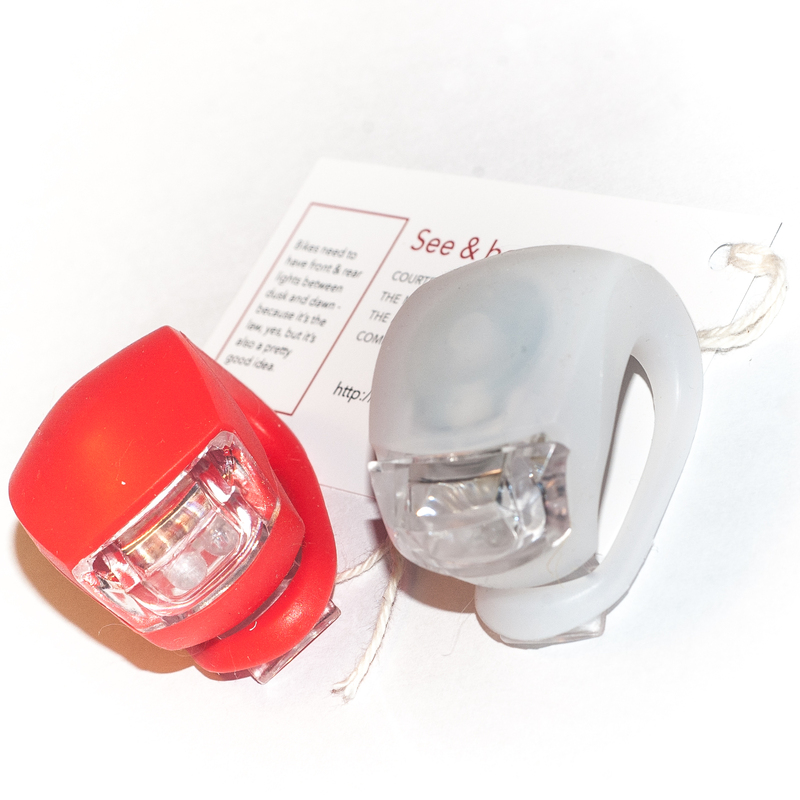 The McMaster Students Union and the Ainslie Wood / Westdale Community Association have provided sets of front and rear lights for officers to give out to cyclists who don’t have any. These LED lights are long lasting and use replaceable button-cell batteries (available at dollar stores, for example). Bike theft is a maddening fact of life, unfortunately. The police recover thousands of stolen bikes each year, but often have no way of identifying the rightful owners. 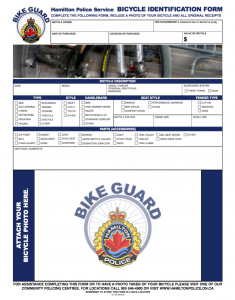 As part of Operation Bike Guard, the HPS has a Bicycle Identification Form (fillable PDF) which you can fill out – before your bike is (heaven forbid) stolen! – and submit if you need it.